"Behind an elegantly handsome facade awaits luxuriously large rooms that flow into your private backyard oasis." Turn down a certain very private drive off a secluded cul-de-sac in affluent Potomac, and discover a home offering unparalleled space for indoor and outdoor living at its finest. The nearly 12,000+ square foot residence welcomes you with copious and finely appointed living spaces on all three levels. On the main level, the grand entrance hall greets you with gleaming marble floors and two sweeping curved staircases. To your right, the marble flows into the airy step-down living room embellished with carved plaster moldings and a marble clad fireplace. 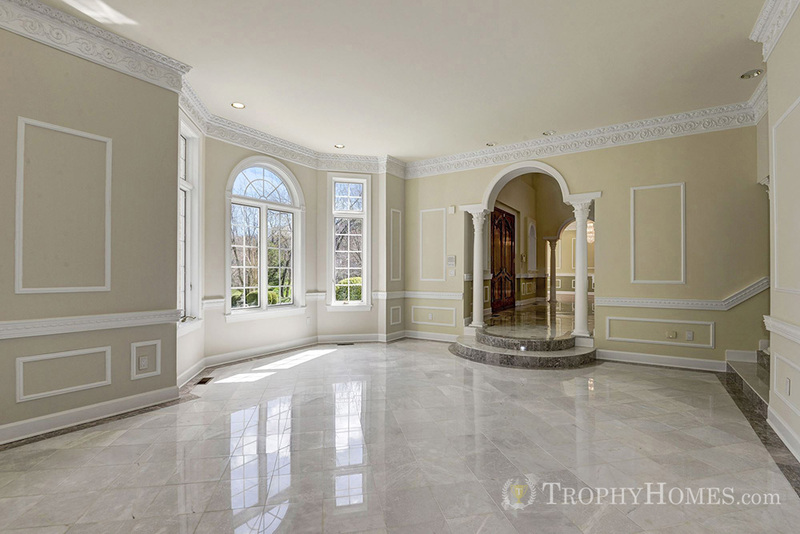 To the left, the gracious dining room with stunning moldings is served by a huge kitchen with the full cast of appliances. Other main level spaces include a wood-paneled library, a bedroom/in-law suite with full bath, a vaulted sunroom, generous laundry room, and an amazing two story family room with a full bar and fireplace overlooking your private backyard sanctuary. 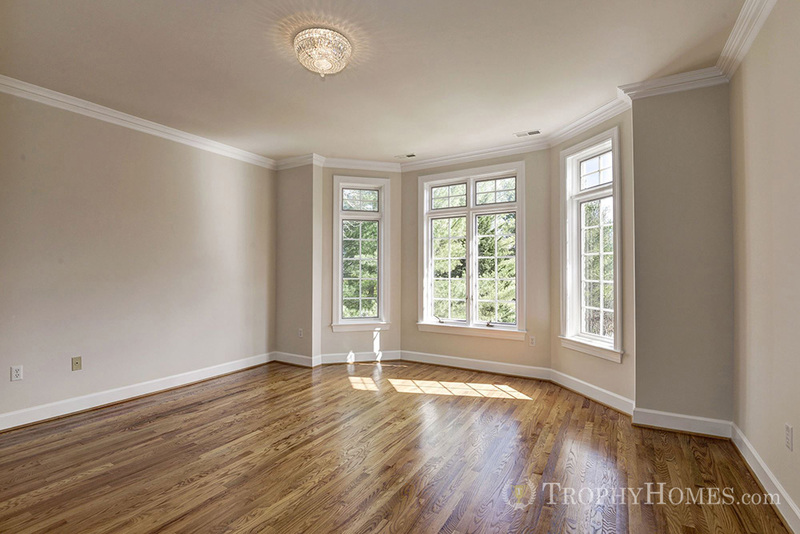 The upper level greets family and guests with three large bedrooms, each with a full bath. 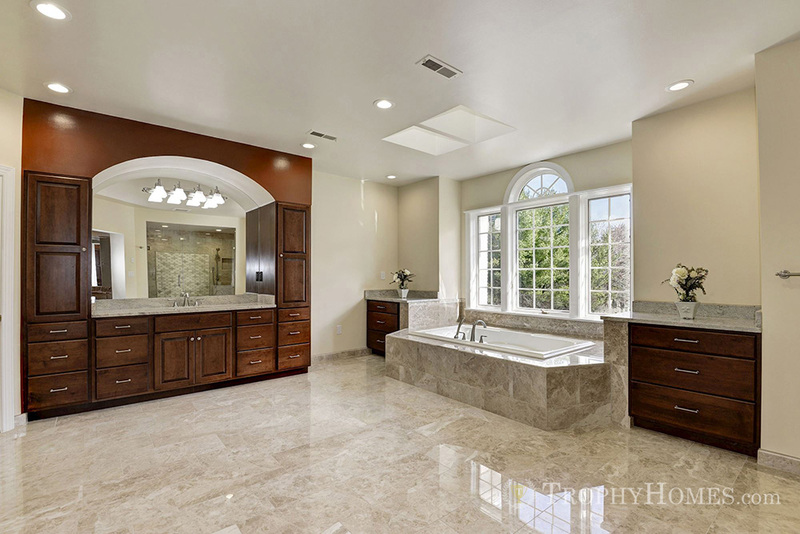 The 2,000 square foot master suite was just completely transformed to include a truly spa-like marble bath. One of the additional baths has also just been completely redone. Descend to the lower level where an in-law suite awaits with a bedroom and separate bath. And the center of attraction is the enormous recreation room with wet bar, fireplace and separate catering kitchen, all walking out to the pool area beyond. The pool, outdoor kitchen and surrounding patios are graced with extensive hardscaping and slate-topped stone retaining walls. The large pool and spa offer heated comfort for extended seasonal enjoyment. The surrounding terrain is landscaped with rolling hills, natural flora and a waterfall that flows quietly into a tranquil pond. Everything stays lush and green with a 30+ zone irrigation system. The property is served by a long driveway with a circular drive, an adjacent parking area, and a 3-car side-load garage as well. Potomac is often recognized as one of the wealthiest areas in the US based on median house income. Like neighboring Bethesda, Forbes recognizes Potomac as the seventh most top-educated American small town. Nearby Potomac Village is a short hop away and offers a cluster of upscale shops and restaurants at the intersection of Falls Road and River Road. Starbucks, two gas stations, and two grocery stores (Safeway and Giant) serve Potomac Village. For dining, options include The Tavern At River Falls, Renatos, Lock 72 Kitchen & Bar, and Mix Bar and Grille. DC is just a short drive away along the Clara Barton Parkway as is easy access to all three airports. Schools are also top notch be they public or private, also nearby.